Charlottesville, Va. – Nov. 17, 2016 – The Governance Institute, a service of National Research Corporation, today announced the launch of its Board Orientation Online Course with Joint Accreditation and ACHE-certification. The Governance Institute is a membership organization that provides trusted, independent information and resources to board members, healthcare executives and physician leaders in support of their efforts to lead and govern their organizations. The Governance Institute's interactive and mobile-friendly Board Orientation Course prepares board members for their important role and ensures they understand key duties and responsibilities. Throughout the course, board members are presented with a variety of “dilemmas” based on real-world scenarios where they must decide the best course of action and learn how to apply good judgment in key topic areas. 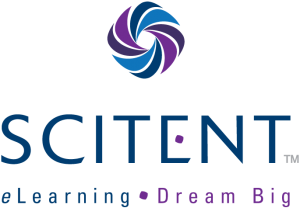 The Governance Institute selected Scitent, Inc., a full-service eLearning company dedicated to the growth of an organization’s eLearning business, to create its on-demand course and develop an online learning web portal. Scitent applied its 20+ years of eLearning expertise serving the association and healthcare market to launch the course. Griffin added that the course respects board members’ limited time and allows them to focus on specific topic areas typically needing education and development. Considered the first of its kind, Scitent’s 360-degree learning experience utilizes mastery learning to test board members along with a performance-based dashboard to focus instruction and practice on closing knowledge gaps. “Scitent believes online learning should be learner-centered, so we delivered a mastery learning approach to ensure The Governance Institute learners attain maximum retention in preparation for making challenging decisions,” explained Vicky Mossman, Scitent’s VP of Partner Development. The course is available to members of The Governance Institute. See more. The Governance Institute, a service of National Research Corporation, provides trusted, independent information and resources to board members, healthcare executives, and physician leaders in support of their efforts to lead and govern their organizations. It is a membership organization serving not-for-profit hospital and health system boards of directors, executives, and physician leadership. Membership services are provided through research and publications, conferences, and advisory services. In addition, The Governance Institute conducts research studies, tracks healthcare industry trends, and showcases governance practices of leading healthcare boards across the country. Based in Charlottesville, Va., Scitent helps nonprofits, associations, healthcare organizations and for-profit organizations foster and grow their eLearning business with in-house expertise in sales and marketing, course distribution, instructional design/courseware development, distribution and LMS technology and services, eCommerce and customer support. Scitent believes online learning should be learner-centered, so we delivered a mastery learning approach to ensure The Governance Institute learners attain maximum retention in preparation for making challenging decisions.